The NOVA Comet II Stand Accessory provides a free standing platform for your NOVA Comet II Midi Lathe. It gives you a mobile and stable work support. Its rugged tubular steel design provides strength without adding a lot of unnecessary weight. The powder coated finish provides durability in all conditions. The specially designed V-legs allows more room under the lathe for maneuvering. The stand adjusts length wise and height wise for ultimate flexibility, adjusting from 6″ to 7-11/16″ wide on hole centers and 19-11/16″ to 31-7/8″ long on hole centers. 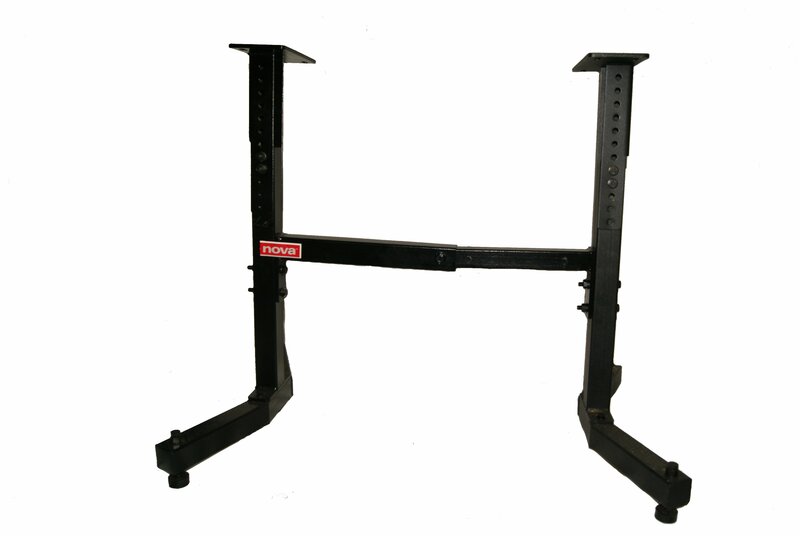 The working height of the stand is adjustable from 24-1/2″ to 34-1/2″ with easy to use leveling feet.